Local PR Consultant Allison Thomas is another ‘woman of many hats’ – As well as her consultancy work she also teaches, and works as a photo-journalist in the world of music. I live in beautiful North Norfolk in a converted Mission Hall. It’s a beautiful old building, one of the oldest in the village. It has great proximity to King’s Lynn, which is beautiful, and it’s very handy for popping over to Norwich, where I do a lot of my work. I love living there! It’s the best place to be in the world! Can I be very cheeky and ask your age? Let’s just say I’m the right side of forty! What’s it like to be Allison Thomas? It’s an extremely varied life that I have. It’s like the different facets of a diamond – different aspects, meanings and purposes – and they all come together to become the brilliance of what life is. I wear many different hats. I am a PR consultant, and run my own marketing and PR consultancy agency under the name of CAT – which is an acronym for ‘Consultancy by Allison Thomas’. I also work for a lot of agencies in the area on various campaigns, and also directly for clients. I’m also a tutor for the Cambridge Marketing College, where I teach Marketing, PR and Advertising. I’m also a photo-journalist covering various music gigs and writing for the music press. It’s an amazing situation that I find myself in, and every day is different. 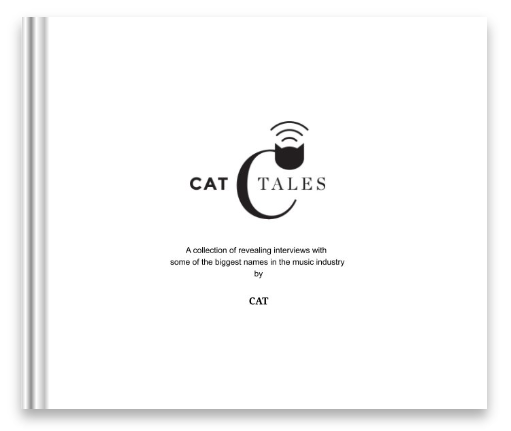 Your pen-name is CAT … Do you have an affinity with cats? Most people in my life are now starting to call me ‘Cat’. I used to have cats, and I adore the little feline beasts. They’re intelligent and very wise, but they are never ‘owned’ a cat owns you. I think that’s a really nice quality where you’re an independent person, and that quality is reflected in the characterisitics of a cat. I’m a ‘glass half full’ kind of person I like to think I have positive attitude to life, and I treat everything that might be seen as a difficulty as a challenge. I go head-on into it and try to live every day to the full. We are only here for a short period of time and you’ve got to make the most of everything you can. I like to try and live in the present. As for personality, I would say I’m quite a bubbly, smiley type of person. Happy go lucky, but also a sensitive soul. I try to be as authentic as I can with people. I love the variety. I like having different clients to work for, different people to talk to. I love writing press releases, feature writing. I also love doing the gig reviews. What piece of PR work are you most proud of? I’m most proud of the work that I do with rock photographer Nick Elliott, because he has been one of my clients for many years. I’ve been involved with his PR work ever since he got involved in the rock music business. What do you do to relax, away from work? I like to head outdoors to go for a walk on the coast, because I think there’s nothing more grounding than a nice walk on the beach, or a walk through a beautiful forest, of which we’ve got plenty here. When I’m not outdoors I’ll just be sitting there watching a bit of mind-numbing telly with a glass of white wine in my hand! What previous work have you done? My whole career has really been based around ‘communications’. I started life in a financial services company doing their marketing, and then worked with various London agencies such as Saatchi’s, working on some very big campaigns for some very big names. As a photo-journalist you’ve interviewed many famous musicians. What were your favourite interviews? One of my favourite interviews was with Nils Lofgren, who is a member of Bruce Springsteen’s E Street Band. He was one of the first celebrity interviews I did back in 2001. He was launching his new album called ‘Breakaway Angel”. He was so accommodating and absolutely adorable. I also remember interviewing Julian Cope from The Teardrop Explodes. We got into a fascinating conversation about standing stones and the Celts and Druids. Another really nice moment was when I interviewed The Proclaimers, who I remembered from when I was growing up. It felt almost surreal finding myself chatting with them backstage in their dressing room about their career. I like the challenge of getting ‘under the skin’ of somebody and finding out what they are really all about. Very often they will tell you what they want you to hear about their latest album or tour date, but what I really like finding out is what makes that person tick. When you are starting to talk on a personal level it gets so much more meaningful than just ‘PR Speak’. What type of music do you personally like? I like all sorts. I just love Handel’s Messiah, which I once sung when I was in a choir. Everytime I hear it, it gives me goosebumps! I also adore the musical ‘Cats’ – but how could I not! I listen to a lot of retro pop – Your Duran Duran, your Blondie. I like to do a bit of dancing around in private! Above all, I’m a bit of a ‘rock chick’ at heart. You can’t beat a bit of Foo Fighters or AC/DC. Favourite song / piece of music? I think I would have to choose Wuthering Heights by Kate Bush, because of it’s haunting melody. It was one of the first pieces of music that I bought, so it has a special place in my memory. What’s your relationship with Twitter? I was brought screaming and kicking into the world of social media. I needed to get into it from my clients perspective, as there’s been a trend over the years to move from traditional media to digital media. I really adore Twitter now. Some people would say I’ve got an addiction! From a business point of view, it’s extremely useful for networking. Most of all, it’s a wonderful place to express yourself. I would say that anybody not engaged in social media will be left behind as a business. It’s the way people are communicating now. What’s your favourite place in Norfolk? I love Sheringham, because it’s almost like stepping back in time. It’s a little gem from the past, with the Poppy Line, the coast line and the little ’boutiquey’ shops it has a great atmosphere. I also like Blakeney, where you can go out and watch those little seals. But everywhere in Norfolk is just beautiful! I moved to Norfolk about five and half years ago, but I used to live around the Peterborough area. So I’m very used to the Norfolk area in terms of day trips and holidays. To live here and experience it all the time is just wonderful! I think I would have to go back to the classics. I love The Mayor of Casterbridge by Thomas Hardy, which I studied for my A-levels. And I keep promising myself I’m going to read Wuthering Heights by Emily Bronte, rather than watch it as a film or play. There’s something about the original writing that you can’t beat. Top of my list would be Braveheart with Mel Gibson as William Wallace, because it harps back to my Scottish heritage. So it has a place in my heart. The message within the film is ‘your heart is free, so follow your heart’. What better message in life is there than that? Still in beautiful Norfolk, this is definitely now my home, doing much the same. There is so much variety in my life, how could I get fed up with it? A sweet-corn, because it’s my favorite vegetable, and you have to tear off the outer layers to reveal the juices underneath! If you could be someone famous who would you be? I’d rather just be me, because I think everybody should be content within their own skin. I’d like to be able to read people’s thoughts. A bit of telepathy goes a long way! If you could know what people are really thinking you could respond to them better. I’m torn between Spring and Autumn. I love this time of year, but I also love the beautiful colours and nice crackling fires of Autumn. What things would you like to be remembered for? I’d like to be remembered for having a positive influence on peoples lives. I’d like to think that everytime you have contact with somebody you leave a positive footprint, even if that’s just walking down the street and giving them a smile.